Yummiest Yogurt Ever! — It’s Anahita! Growing up I wasn’t much of a yogurt eater. Not for breakfast in a parfait, not for snacks, not even frozen yogurt (I liked the creamy ice cream). The only yogurt I really ate was home made Persian yogurt or good ole Old Home Plain yogurt as a side with our family Persian dishes. SO for me to be excited about this….is a big deal LOL. Mainly because it’s SUPER delicious, and I want YOU to know about it and try it. NOOSA! No, I’m not being paid or sponsored to post this, I just love the yogurt that much. Although, I did work an event earlier this Fall where I was a Noosa Brand Ambassador for a few hours….I felt like I had won the yogurt jackpot :) BUT if I could go back to my wedding reception, I’d add a Noosa Yoghurt Bar (even though I had a delicious chocolate fountain…well, I’d have both). What is Noosa & Why Is it so Yummy? Noosa is a mouthwatering, thick and velvety. sweet and tart yogurt. It's “a labor of love that starts in small batches on the farm and ends in a delicious scoop on your spoon.” Fun Fact: Noosa is a city in Australia. This tasty food is from down under on Australia’s Sunshine Coast! For the past 10+ years Koel & Rob worked hard to create a delicious flavor line of Noosa variations, sold at Colorado farmers markets and local Whole Foods stores. Then, in 2010 they grew to 13 unique flavors and 2012-2014 they rocked out more options + their “mates combos” launch, bringing together their creamy yoghurt and bold, flavorful crunchies. What Else To Know About Noosa? So now it’s time to treat yourself to this phenomenal treat! Trust me…you’ll thank me later. 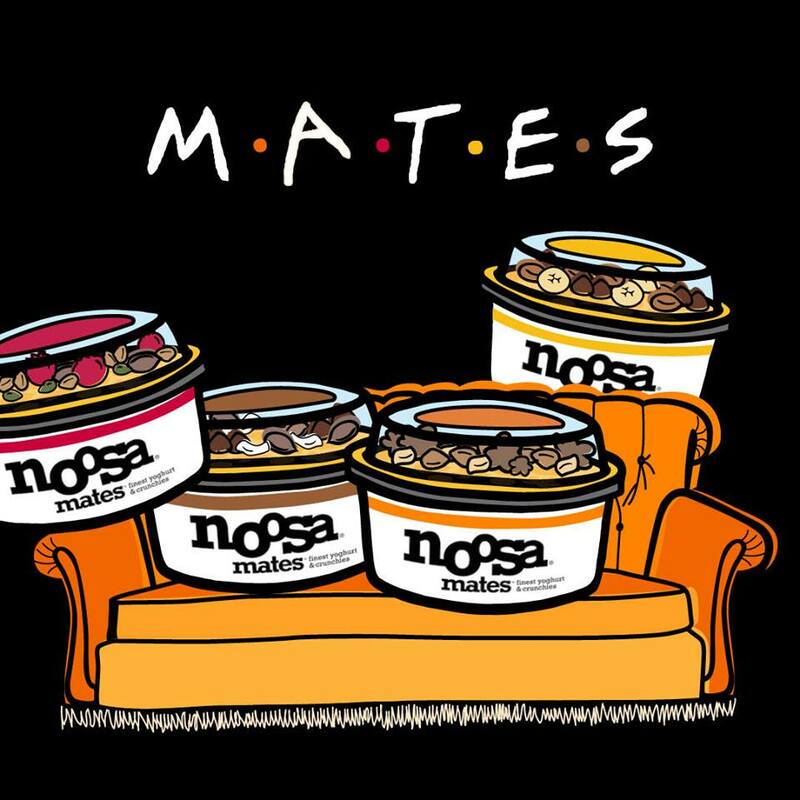 Learn more about Noosa, all their fab flavors, where you can buy some AND sign up for their fan club on their website…they will even send you a FREE Tub of Noosa for your Birthday! I mean…Wowza!